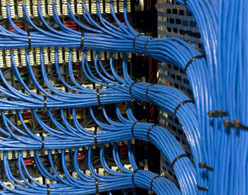 If you need expert help with any of our products please email us here. 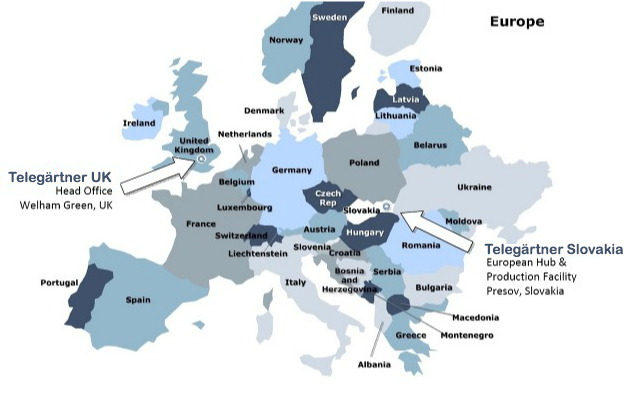 Telegärtner Slovakia is ideally placed as a European hub and benefits from low cost manufacturing. Telegärtner Slovakia (TGU) is situated in the east of Slovakia, in Presov. It is wholly owned by Telegärtner UK and is Telegärtner UK's low cost production facility. Telegärtner Slovakia was introduced in 2009. Presov has a population of 91,000, has excellent road links and is only 40 minutes from Kosice airport. Perfectly located in Europe to be used as a logistics hub, TGU also has its own transport to deliver to our customers and consolidate shipments from our suppliers. Telegärtner Slovakia resides in a building with over 4500 square meters floor space, of which it currently uses 1500 square meters, so there is plenty of room for expansion. With over 50 skilled employees, trained to IPC 620C workmanship standards, TGU offers a flexible production facility able to work 24 hours a day using split shifts, 7 days a week. The team of Production Engineers at TGU offer years of production experience from the automotive and manufacturing production environments. Utilising the latest technology Telegärtner UK and Telegärtner SK are in constant communication using telephone, email, skype and our ERP and CRM integrated systems. 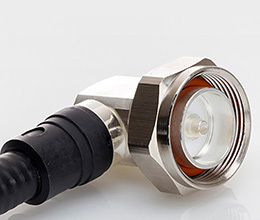 The company is now one of the top addresses for coaxial connectors, network components, high-precision turned parts, plastic injection mouldings, industrial electronics and cable assembly. But this remarkable development was only possible because the demands of the traditional company have not changed in all these years:"Telegärtner does not just want good quality. Telegärtner wants to be better and supply our customers with excellent solutions with which they can work successfully."